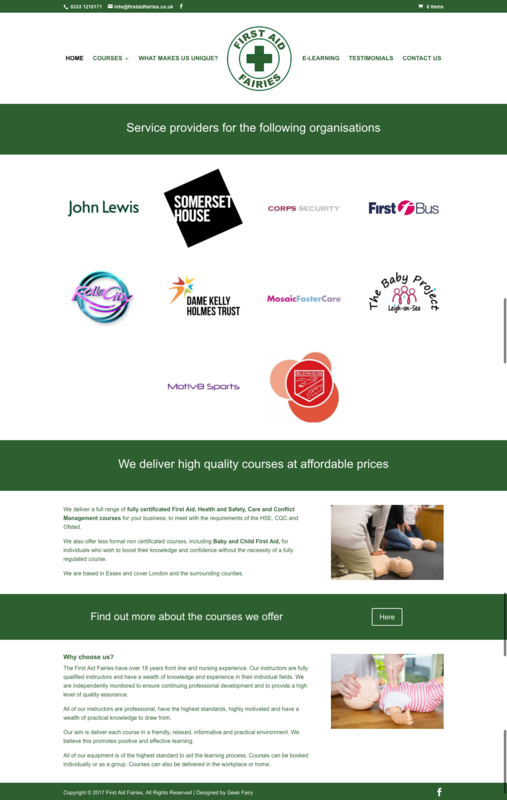 The client has an old website that was reflecting their successful first aid company. I designed them a logo and then the website that included a booking system that they were then taught to update themselves. The overall design, theme choice, layout, and logo are all designed by The Geek Fairy.